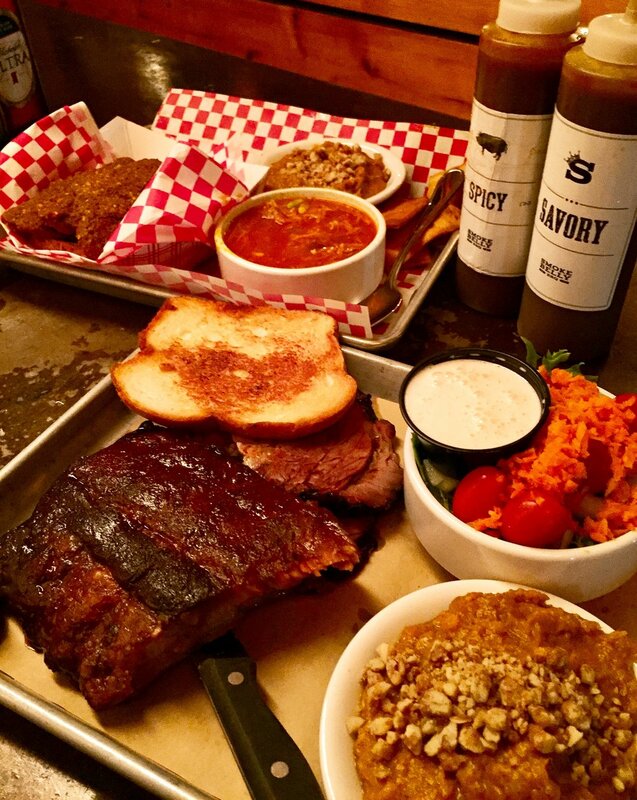 SmokeBelly BBQ is situated just down the street from it's sibling restaurant "The Big Ketch" in Buckhead. The restaurant has a great outdoor area and a stage inside for live music. Two bars and ample seating. Their menu is a mix of traditional BBQ dishes like ribs, pulled pork sandwiches and Chicken; with BBQ tapas including fried pickles, Killer Mac and Cheese skillets, their award winning Smoked Brisket chili and BBQ pork loaded fries. A menu favorite is their special Nashville Hot chicken, tender juicy chicken breast with a crispy spicy outside that you can get hot, damn hot or mild. They have a great list of beers and cocktails including the Berried Alive with burbon, blackberries, lime juice and mint. Or the refreshing From the Vine with Titos Vodka, strawberry purée and lime juice.